KWVF App - The Wolf 102.7 | America's Greatest Hits! 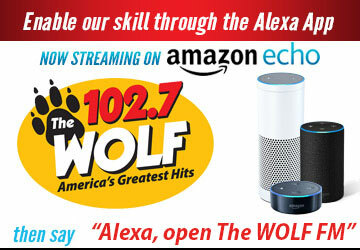 Enjoy classic music from the 60's, 70's, 80's through today on 102.7 The Wolf while you're out of our listening area. Our apps are available on the App Store for IOS devices and the Google Play store. Just search for "102.7 The Wolf".